Features & Consumer Benefit :-Comes with ultra strong and even InfraRed heat (above 1000oc)The D..
3000W4.0LOne Cup Auto-DispenseFull Cup within 45secs. (3kw)With Stop ButtonVariable VolumeWater Boil.. 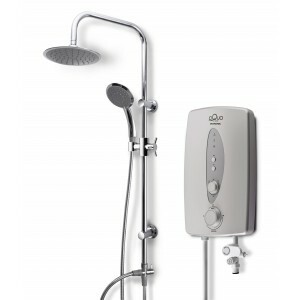 Features:Triple Safety Protection- Built-in auto water flow-sensor device switch.- Built-in 1.. Double safety protection5 spray pattern handshowerMesh filterVariable temperature control3-in-1 stop..
• Black ceramic plate, durable, scratch-proof, heat- proof and easy to clean• 8 power levels: from 1..
• Product Key benefits- Unique Perfect blending results every time- Advanced safety features• Produc..
Model Number: RK7405Capacity : 1.5 L (8 cups)Power : 750W9 Cooking Programs2D spherical heating prov..